nathan lively Archives - SoundNerdsUnite! In addition to my favorite wireless tools, Here are of my favorite and most helpful wireless/RF resources I mentioned recently in the Live Sound Summit Webinar hosted by Nathan Lively of Sound Design Live. Shure Wireless Workbench Coordination software. 600 Mhz is being activated every day! This map shows you where! Easy web tool to calculate wavelength (and fraction of) of any frequency. Great for audio AND RF! Another great calculator to help with free space loss! Need to know if you have the right Shure gear for the location? Find out fast with this tool! Quick ‘n dirty intermod calculator from Audio Technica! Need some great coax wire? I recommend #118! Easy tool from Times Microwave to quickly calculate cable loss of MANY different brands and types of coax! Excellent resources and also a wonderful app to help calculate many common RF challenges. The group over at RF Venue have really put together some great products yet also offer very helpful short blog posts on common RF challenges and best practices. Professional Wireless has been the game a long time and deservedly so. Aside from offering powerful software and coordination services, they offer perfect tools to help with those more difficult days. Whoa, You Can’t Do That! Wonderful resources and services from some of the best in the biz! Great collection of tips and best practices from Shure! A great opportunity to learn a BUNCH of sound goodies by some of the industries best leaders! The Live Sound Summit Webinar! PLUS you can do this from your couch! I’ll be presenting, too! Mention the code “SUMMIT30” for $30 OFF! Big thanks to Nathan of Sound Design Live! Looking for some live sound resources, tips and tricks? 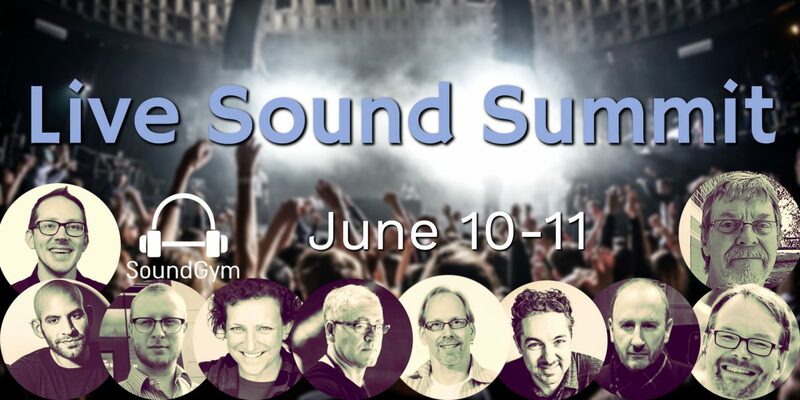 Posted on June 9, 2018 Categories UncategorizedTags how to live sound, live sound help, live sound summit, nathan lively, Nicholas Radina, robert scovill, sound design live, sound nerds uniteLeave a comment on Live Sound Webinar! Learn monitor mixing and career tips with Nicholas Radina! Big thanks to Nathan Lively of Sound Design Live for the opportunity to share my career, gear and knob turning advice. I address a few of my monitor mixing tips, learning to say no in order to do more of the work you WANT to do, wireless coordination and IEM tips as well as a little history on my career path. Plus some cowbell smacking music interludes on the podcast! Enjoy! Interested in my additional live sound tips and tricks? 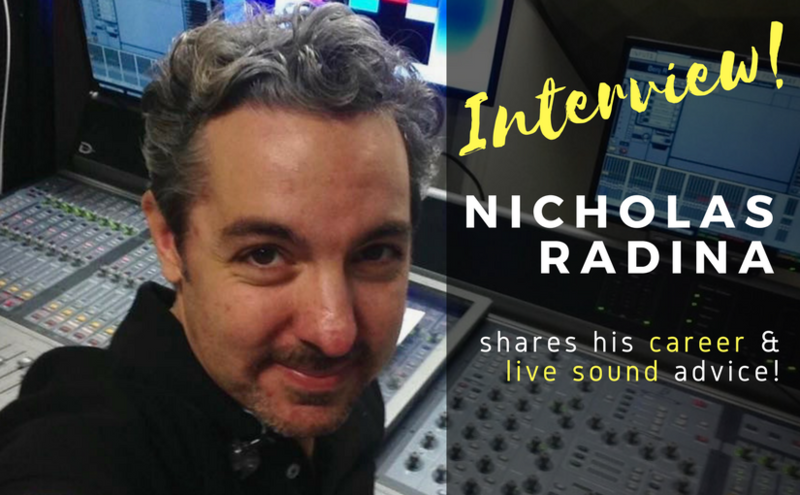 Posted on February 2, 2018 February 6, 2018 Categories Audio Tips and TricksTags IEM, Live Sound Tips, monitor mixing, nathan lively, Nicholas Radina, sound design live, sound nerds unite1 Comment on Learn monitor mixing and career tips with Nicholas Radina!